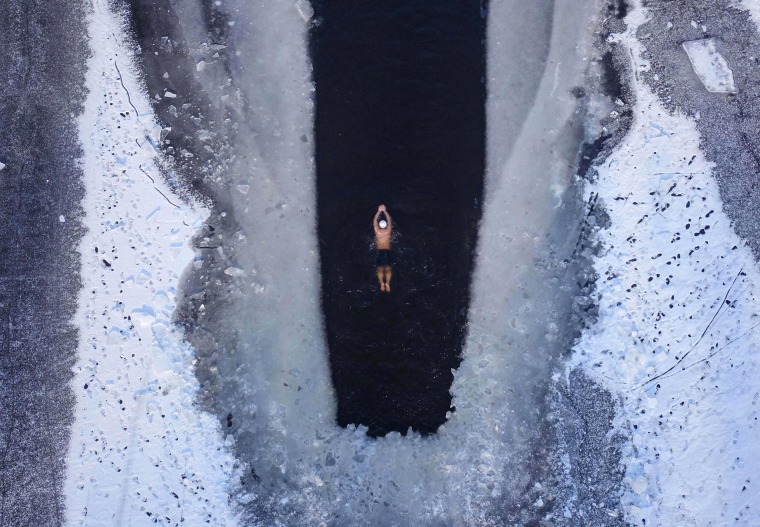 Fracas at the White House, a giant pine dies, the world's oldest skydiver, and more. 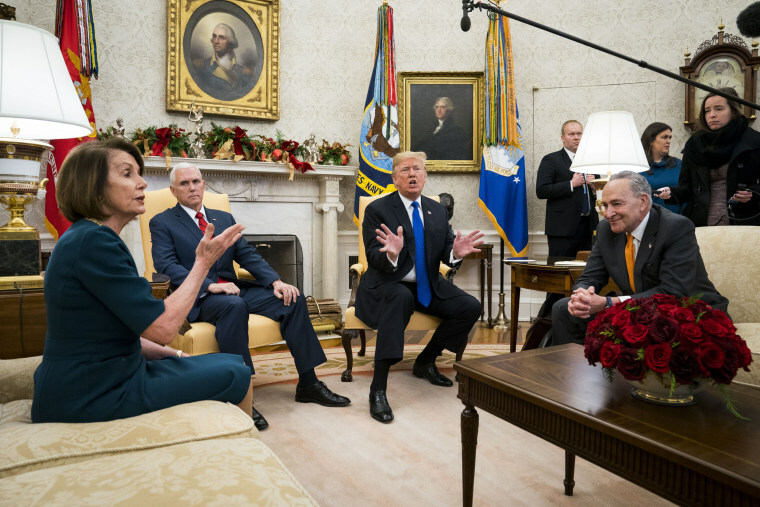 President Donald Trump and Vice President Mike Pence meet with House Minority Leader Nancy Pelosi and Senate Minority Leader Chuck Schumer at the White House on Dec. 11. Trump and the Democratic leaders bickered at length in an explosive public meeting over the president's promised border wall and threat to shut down the government if Congress doesn't fund it. 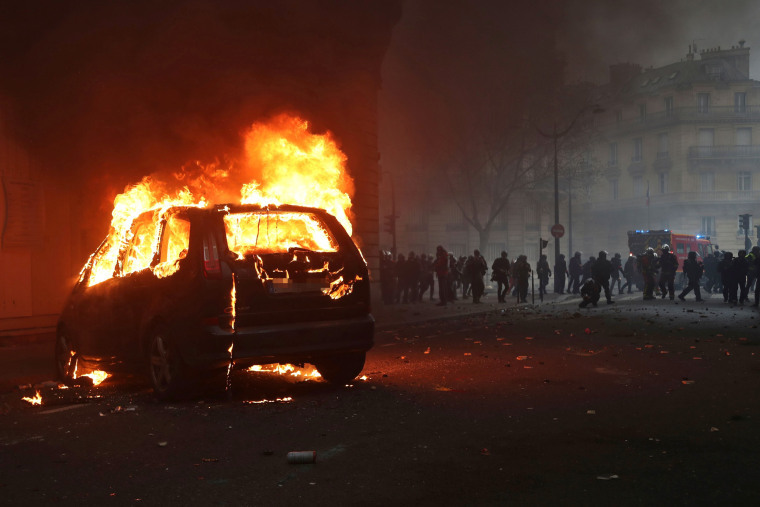 A car burns during a protest in Paris on Dec. 8. The "yellow jacket" movement in France originally started as a protest about planned fuel hikes but has morphed into a mass protest against President Emmanuel Macron's policies and top-down style of governing. License plate obscured by source. 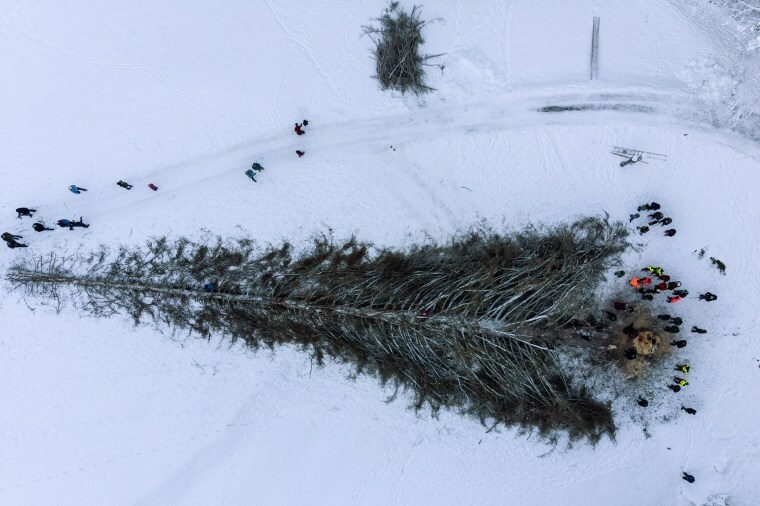 Onlookers surround "La Panera," the tallest pine in Switzerland, after it was cut down in Luven on Dec. 12. Estimated to be 260-years-old and measuring almost 160 feet high, the tree had become diseased and had to be felled. Donald Trump lawyer and fixer Michael Cohen arrives with his daughter, son and wife at federal court in New York on Dec. 12. Cohen was sentenced Wednesday to three years behind bars for what the judge called a “veritable smorgasbord" of criminal conduct. 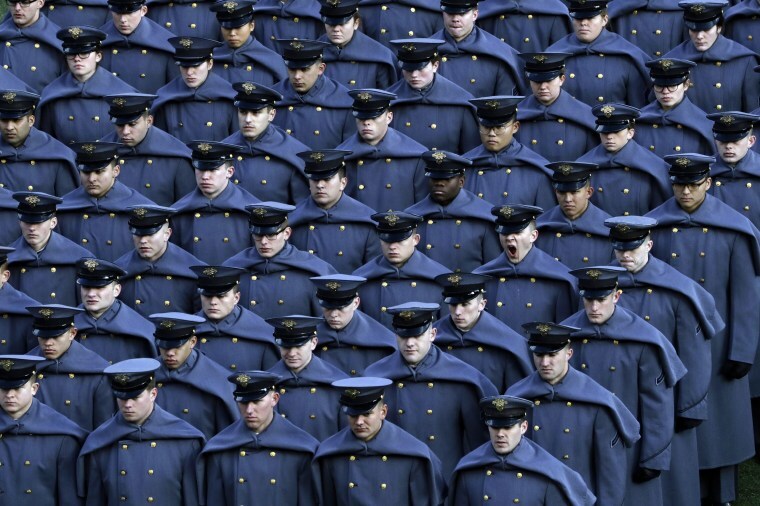 An Army cadet yawns after marching onto the field before a football game against Navy on Dec. 8 in Philadelphia. It was the 119th meeting between the two teams. 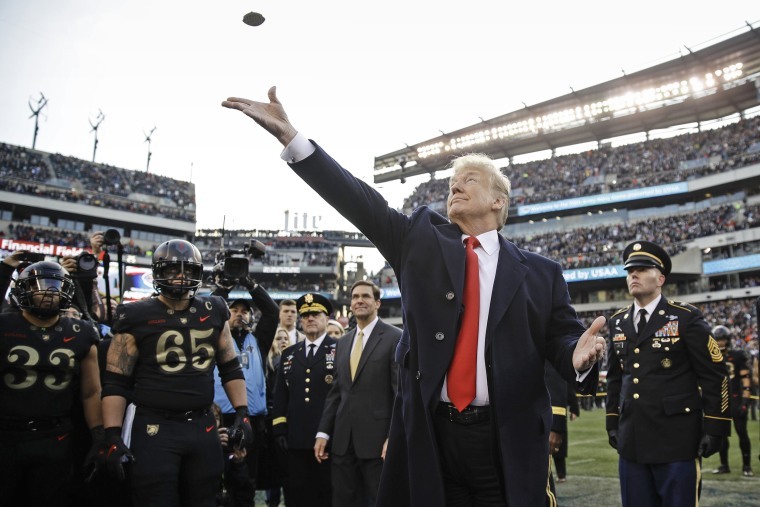 President Donald Trump tosses the coin before the Army-Navy game. Army won for the third straight year. 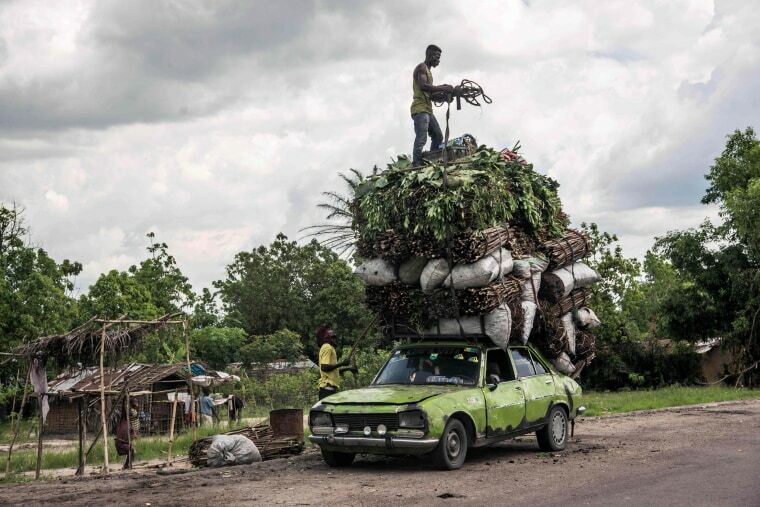 Vegetables, wood and charcoal are loaded onto the roof of a battered Peugeot on Nov. 7 in Matadi, Democratic Republic of the Congo. Photo made available Dec. 13. 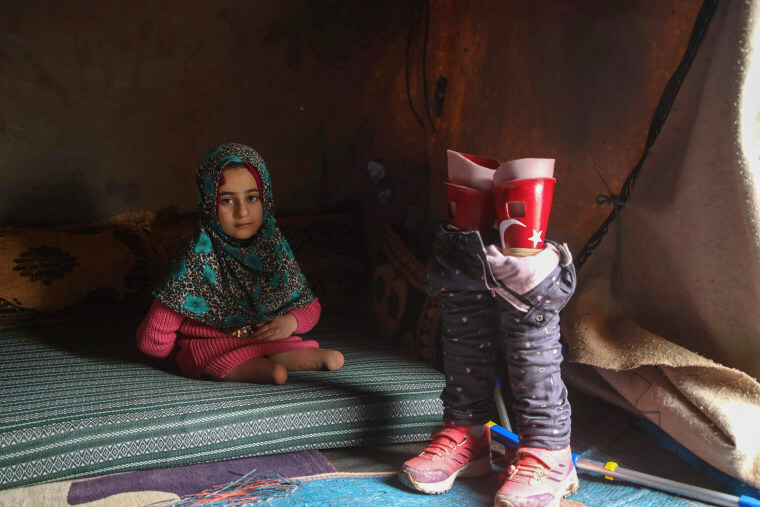 Maya Merhi, 8, who was born with no legs, poses next to her new prosthetic legs at a camp for the internally displaced in Serjilla, northwestern Syria, on the border with Turkey, on Dec. 9. After images of Maya struggling on makeshift limbs fashioned from old tubing and tin cans appeared on social media, she was brought to Turkey where the prosthetic legs were created for her. 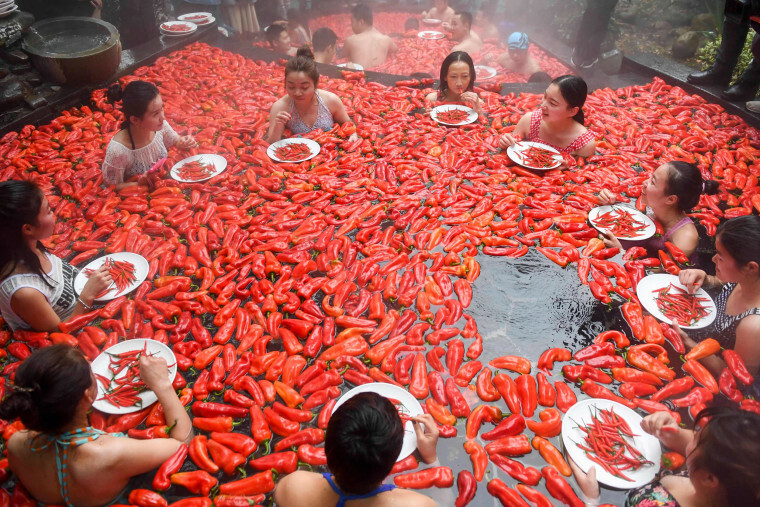 Competitors sit in a hot spring during a chili eating contest in Yichun City, in China's central Jiangxi Province on Dec. 9. The winner ate 20 peppers in one minute. 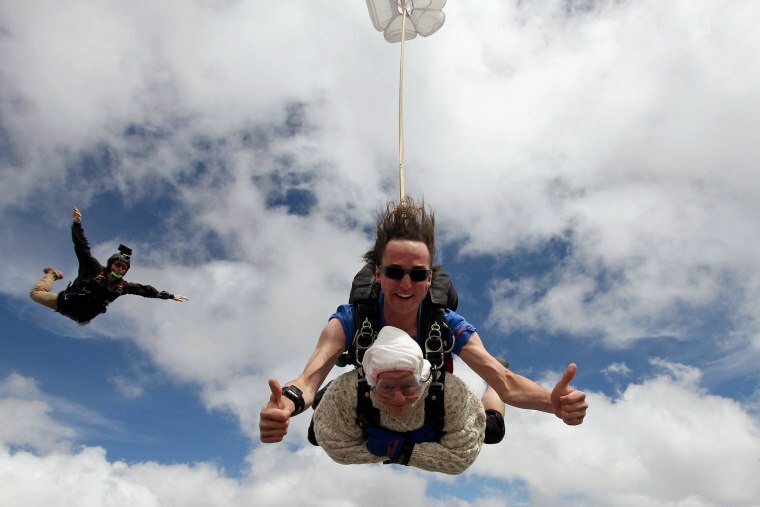 Irene O'Shea, a 102-year-old great-grandmother, performs a tandem skydive over Wellington, Australia, on Dec. 9. She plunged from 14,000 feet to become the world's oldest skydiver. 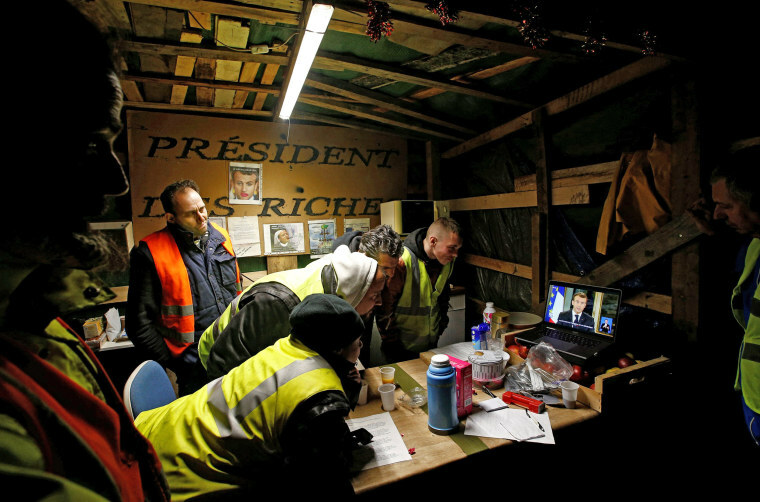 "Yellow jacket" protesters watch French President Emmanuel Macron address the nation on television in Bouguenais, France, on Dec. 10. Facing a political career in jeopardy, Macron announced a raise in the country's minimum wage and tax relief measures during an address to the nation following a fourth weekend of increasing violence by protesters. 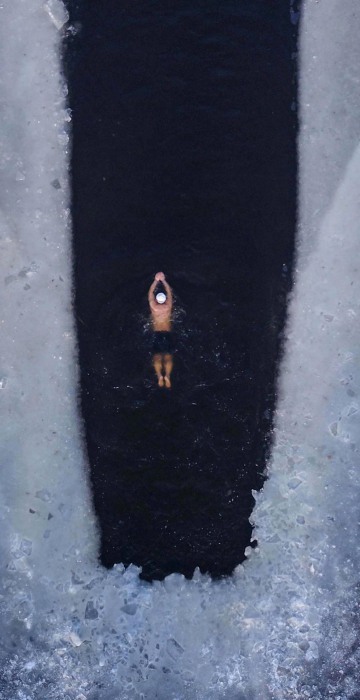 A man swims in a partly frozen lake in Shenyang, northeast China, on Dec. 10.